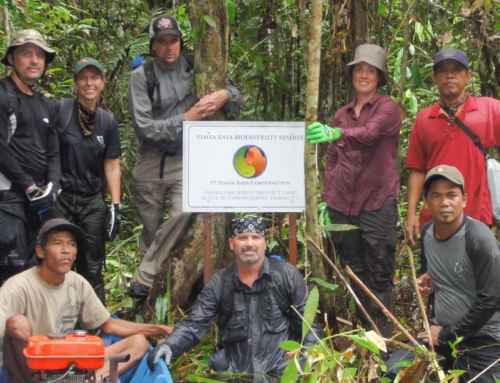 Just months after completing issuing its first credits, the Rimba Raya project is in full swing and benefits are flowing to communities, the environment and to orangutans. Already the project has delivered clean water filters and fuel-efficient, smokeless cook stoves to the communities adjacent to the project area. Its latest initiative was planting some 40,000 trees in an area illegally deforested by the palm oil company with whom the company has clashed for 5 long years. cleared and cut drainage canals in an 80 hectare area–despite the protests of nearby community members and Rimba Raya staff. Forestry officials subsequently confirmed that the incursion was illegal and security forces were sent to support Rimba Raya’s reforestation effort. 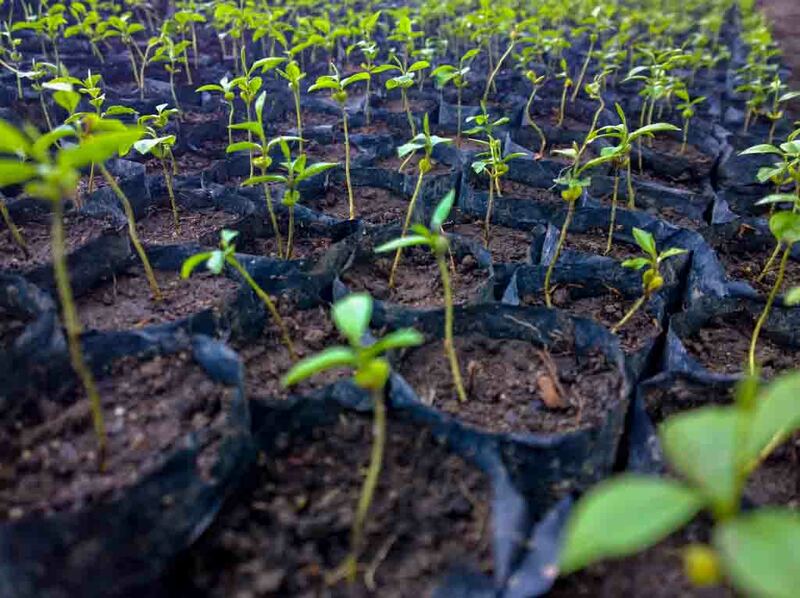 With a grant from the InfiniteEARTH Foundation, 40,000 seedlings were purchased, a greenhouse was built and the communities were paid to replant the area. Two indigenous species of rubber and gum trees were planted in a 50% density configuration known as the “jungle rubber” model. In this model, indigenous cash crop species are planted in larger spacing than a normal plantation, allowing the natural regeneration of mixed native species to compete with the cash crops. Studies have shown that this benefits the productivity of the cash crops and allows for a more natural diversified reforestation of degraded areas. These same communities will be the custodians of these “seminatural” plantations and will be allowed to benefit 100% from its future harvest. will be done for (chewing) gum with companies like Wringley’s to be targeted.